I have a front row seat to holidays thanks to my job in a bookstore. I track the changing seasons by displays with holiday relevant books and gewgaws almost as much as I do by observing nature. Christmas hoopla, we all agree, starts way too early. The arrival of merry product the retail cue for imminent insanity, makes me groan when it shows up in September. St. Patrick’s Day stuff of dubious Irish humor books and clover chotchkis, is pretty lame but the sight of it still makes me happy. Like sandals displayed in the shoe store next door even though snow still blankets the ground, the green of St. Patrick’s day signals that the end of winter is near. Of course Easter and Passover bring with it lovely garden books, so what’s not to love? But Valentine’s Day is my favorite. 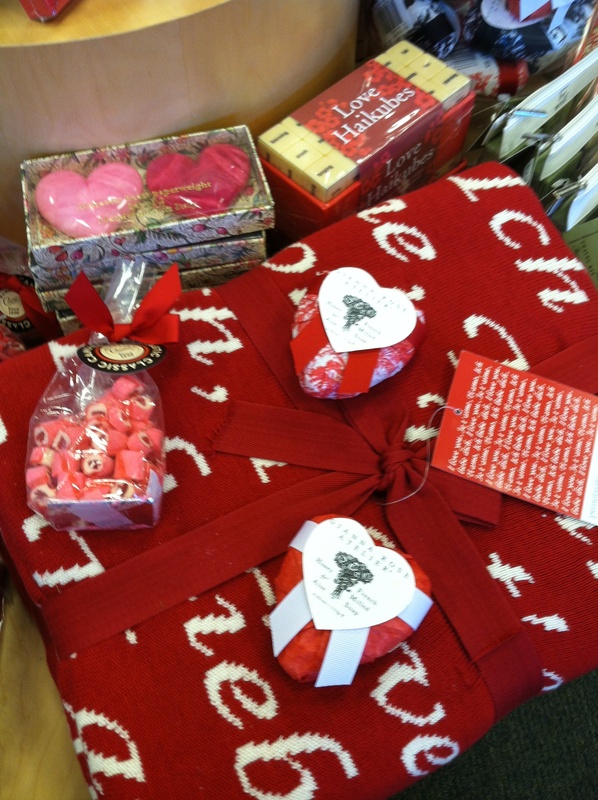 Vibrant red blankets and boxes of chocolate, heart shaped candles, stones and French milled soaps, pocket sized Pablo Nerudo Love Sonnets, gorgeous displays celebrating the warmth of love to get us through frigid-February. 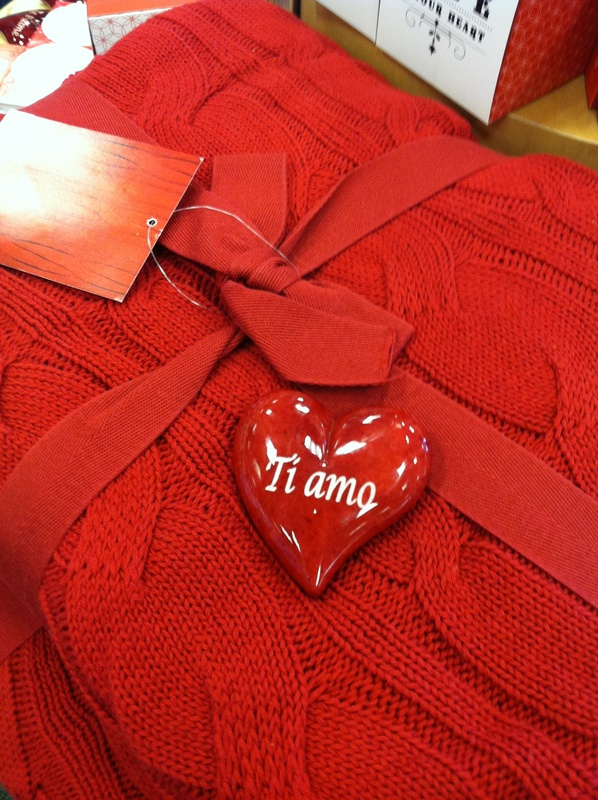 I am almost as much a sucker for this Valentine stuff as I am for love. I think, it’s why we are here. Pete Seeger died this week at 94, only months after the death of his wife of 70 years. Toshi Ota was Pete’s anchor throughout his well-lived life, so off he floated after her, following the love of his life. Moving stories of devoted couples dying months, days, minutes apart, abound. I’ve always been love-crazy, maybe even a little obsessive. When I began writing this post, I thought love might be a nice break from my usual musings on addiction and grief. But then it dawned on me that for most of my life I was a romance-junkie, pursuing impossible notions of true love across the country, even around the globe. Plenty of grief got mixed into the soup. My addiction started in early adolescence with serious crushes on my older brothers’ and sister’s friends, unattainable because they were either oblivious to my 13 year old designs or just decent guys. My best friend Rita (who shared my affliction) and I spent long hours sprawled across the bed in her purple bedroom listening to Cat Stevens after strategically prowling the streets, hoping to encounter our current obsessions. That sense of pining with an edge of pain stayed with me through high school where my most serious romantic episode could have landed the guy in jail. Early on, I associated the thrill of love with an element of danger. There is danger. We risk getting very seriously hurt. Perhaps that was the thrill for me. My version of psychic cliff-jumping, the madly intense feelings, the brew of first attraction that I was convinced was love. Of course, in a healthier person this is where things start – and go somewhere or nowhere. For me, it was that very intoxication of questions, hopes, dreams swirling in a crazy alchemy of beginnings where I got stuck. I can conjure the weird drop in my stomach still. Will this be the one? With no roadmap to what a healthy relationship with a man might be, I regularly got lost, mistaking those mixes of passion, wine, fantasy for something that might last. And mostly, they didn’t. But I never stopped hoping. Finally, I discovered what the gift of real time together means and that after that first rolling boil of love slows — a delicious, long-burning simmer begins. How does a first encounter turn into 70 years? What a mystery! While we no longer have a chance at 70, R and I are shooting for 30. This entry was posted in Seasonal Musings and tagged aging, books, garden, Grief, healing, living with addiction, Love, nature, neighborhood, reading, seasons, Spring, time, walks. Bookmark the permalink. Valentine’s Day is always a nice burst of color in the winter gray. The long simmer is much better than the short-lived passion. I’m lucky enough to be able to state that. I definitely relate to your young yearnings! Though I was conflicted because although I felt these things I also wanted to be free and be in the world unencumbered. Recipe for disaster. It took ages for me to find the right one, but it might have been more of a case that I was ready. I’m afraid I don’t share your enthusiasm for all things valentine though! Love your blog & how easy it is to relate to your musings. Thank you! Thank you for reading, Stephanie – and commenting. I really appreciate it!